Nyaka has many wonderful supporters and volunteers. Every month we want to highlight some of the great work YOU do that helps your Students and grandmothers! 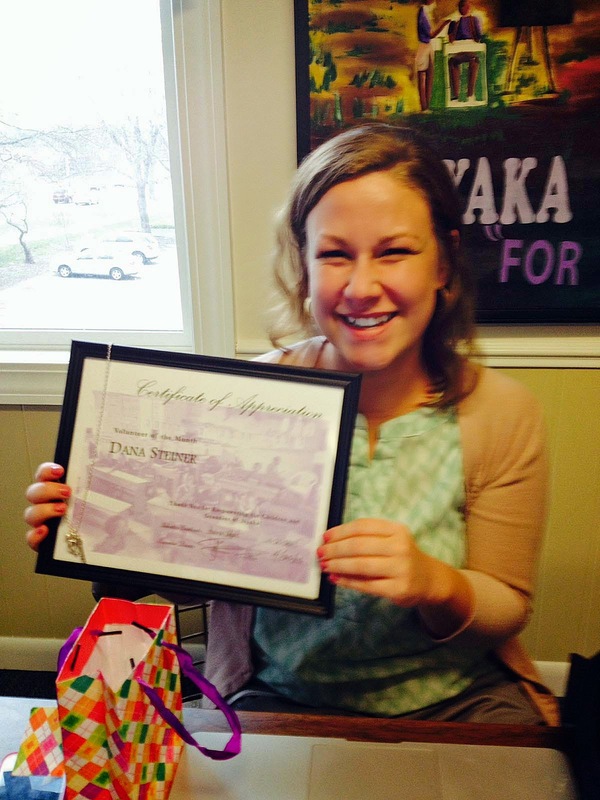 Dana was an intern for Nyaka during the Spring 2014 semester. She worked on grant research and development, which will help Nyaka raise money from many fantastic foundations we would never have discovered without her hard work. Our volunteer coordinator, Desiree, sat down with Dana for a quick interview. I'm studying Professional Writing at MSU and plan on using my degree to do development work in the future. When I'm not volunteering, I'm either hanging out with my friends or I'm working...I work two part-time jobs: at the Broad Art Museum and as a student editor for the Museum Studies Program. How much I'm into music. I collect vinyl records, mostly funk and soul music from the 70's. Tell me how you first got involved with Nyaka. I found out about Nyaka and was really impressed with everything the organization has accomplished so far. I knew I wanted to get experience in a nonprofit setting before graduating, so I approached them about doing an internship that would help out with anything related to grant writing. The story of how and why Jackson started Nyaka. It's very inspirational. Why do you volunteer for Nyaka? I'm happy to be involved with an organization that's working to help those affected by AIDS in Africa, especially children. I lived in South Africa this past summer, where prevalence rates of HIV/AIDS are among the highest, and visited areas where I saw its devastating effects. As an American, this really put things into perspective for me. I appreciate that Nyaka is providing AIDS orphans in Uganda with education and healthcare to help alleviate these major issues that the epidemic has resulted in. What is it like to be a Nyaka Volunteer? Everyone is really friendly, and it feels good knowing that I'm volunteering for a great cause! 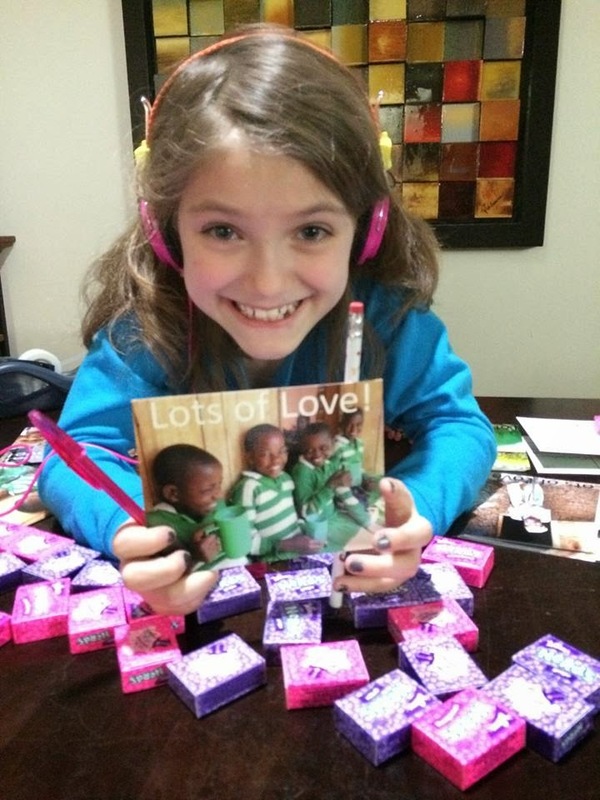 Gwenyvaer has been raising awareness and funds for The Nyaka AIDS Orphans Project for the past 3 1/2 years! She believes that every child should have food to eat, a home to live in, and people that love and care for them. Gwenyvaer knows that the students in the Nyaka and Kutamba communities are blessed to have her and Nyaka's help! 50 cents, to raising hundreds of dollars through selling Girl Scout Cookies, to donating a quarter when she comes into the Nyaka office. Gwenyvaer does her best to tell everyone she knows about Nyaka, including her friends and classmates at school. This year she gave Nyaka post cards out as her Valentines. She also invited Nyaka staff members to read Nyaka's new children's book Sitwe Joseph Goes to School to all of the 3rd graders in her school. Gwenyvaer also enjoys volunteering on behalf of Nyaka. She has helped sell Grandmother baskets and necklaces in the community,and volunteers in the office and encourages her friends to do the same. We are so grateful for all of the amazing people who make a difference every day. Want to get involved? Contact our volunteer coordinator, Desiree Kofoed, at (517) 575-6623 or volunteer@nyakaschool.org.